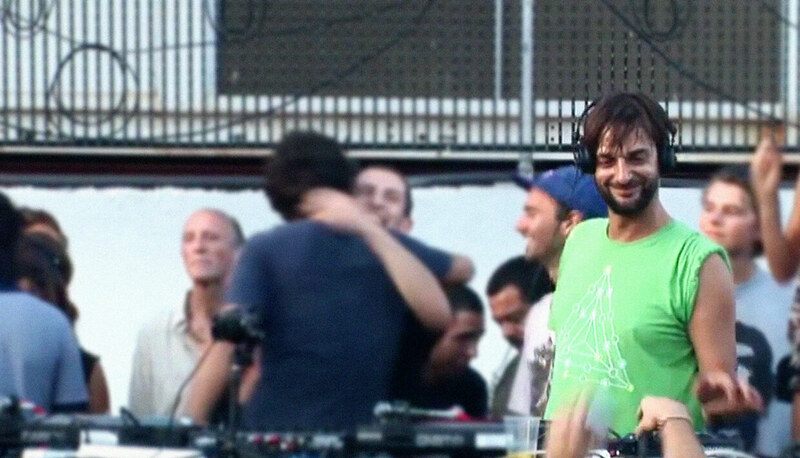 Few people would deny that Ricardo Villalobos is a legend among DJs. His tripping, minimalist selections and endless productions—which include minimal classics like “808 The Bassqueen”, 30-minute mantras like “Fizheuer Zieheuer” and even some more ambient or downtempo excursions, like his latest record under his Richard Wolfsdorf moniker, Mdrnty 002—have basically created an entire scene of minimal and tech-house that extends from Ibiza to Romania and Moscow. And his flamboyant and excessive persona have only strengthened his myth and cult following. Deep selections, masterful mixing, distinctive mannerisms and an unidentifiable Ricardo magic make his DJ sets often remarkable and extremely impressionable (if sometimes controversial) experiences, which fact we’ve set out to prove by tapping a handful of DJs to tell us their tales of their favorite time they saw him play live. “I met and was introduced to Ricardo for the first time in November 1999, when Ricardo came to play in a small bar in Mannheim where I used to work. It wasn’t until summer 2000, though, that I got to experience the infamous DJ Ricardo Villalobos properly. I went to work in Ibiza for the whole summer, and Cocoon happened to have its first full season at Amnesia—with Ricardo as a resident DJ on the terrace. I had just started DJing, and my friends and I managed to get season passes and went to Cocoon every Monday. By mid-season, more or less, we kept finding ourselves on the terrace all night with maybe 300 others, dancing under the spell of Ricardo’s eclectic mix of house, tribal and minimal music. It had such an impact on us that back in Germany we would go to his gigs whenever possible. The early 2000s were an incredible time: Robert Johnson had just opened, and Ricardo played every two to three months all night long for just 250-300 people. A whole new ‘rave’ chapter had started for me, and it was also the time my DJ career slowly started kicking off—something Ricardo has also played a big role in. He has been my inspiration, my teacher and my friend for almost 17 years now. As a DJ, he’s a magician, a demigod. As a producer, he’s a scientist, an explorer and a child that created a whole new world in the spaces between the 4/4 kick drum. Most importantly, though, as a person, he’s deeply human. He has pushed my boundaries and challenged my beliefs in my musical world as well as in my personal universe. He is not only a great, creative and intellectual mind, but he also has a great heart and empathy too, which makes him stand out as a person and as an artist. “The first time I remember meeting Ricardo was at a house party at DJ C-Rock’s home in Darmstadt in the early/mid ’90s. Ian Pooley was the big name DJ in the main room (a.k.a. the living room), whereas Roman Flügel and I played the ‘chillout room’ (a lovely but forgotten ’90s thing) in the attic. Suddenly, Ricardo popped up as a new kid behind the decks in the living room. I remember being immediately captivated by his enthusiasm and dedication. This was before ‘808 the Bass Queen’, which was the first record of his that I bought, and it was years before Alcachofa, which obviously was a milestone in his career and techno history. In all the years since that party in Darmstadt, Ricardo has remained one of the sweetest and coolest dudes in the industry, an absolute role model of a superstar DJ in a world that normally rewards boosts of testosterone and delusions of grandeur. Over the years I got to hear him or play at the same events with him pretty much all over the world. From Frankfurt’s forgotten Monza club to Mutek in Montreal to his regular fabric London appearances to the beautiful Outline Festival near Moscow in 2014. He came to listen to my early-morning set on one of the smaller but more beautiful stages there, and then spontaneously he decided to take over for me rather than play the indoor main stage, which was where he was actually announced to play. What a pleasant surprise to find myself hanging out with him and his collaborator and another long time friend and inspiration of mine, Max Loderbauer. Move D and Ricardo Villalobos both feature in the new documentary film, Denke Ich An Deutschland In Der Nacht. A clip is embedded above. Probably my favorite would be his very first set in Romania at the SNRS party that happened in Studio Martin on March 25, 2006. It was one of the most anticipated parties of that year, and it definitely changed the scene—and it changed me, my way of exploring and listening to the music. Human language cannot express precisely and indisputably the experiences of the soul, and this applies exactly for experiencing Villalobos. He’s a warm, kind and modest human—a unique artist who always creates a storm of styles, genres, feeling and emotions. Always trippy, playing mind games with records brought to light from all sorts of corners of the world of music—new or so very old, obscure, dusty, forgotten or brand new. From him I’ve learned never to put a limit on my exploration and always to dare to search for and play the weirdest things that I like. At his first set in Romania I remember feeling like I wanted to split in two; half of me wanted to stay near the DJ booth to watch his perfect way of playing with the two tracks he’s mixing and his magic, his messy way of browsing through the records and covers of his record-bags; and my other half wished to get lost in the crowd and be irrevocably enchanted by the music, to ride and absorb every wave of energy. Around that time in 2006, Villalobos used to wear a white scarf, so for this event we made white scarves and we gave them to everyone who came to the party (I was part of the Sunrise working team at that moment, so I was involved in making and promoting this event). Mdrnty 002 is out now on Mdrnty.